How to create roulette advantage? 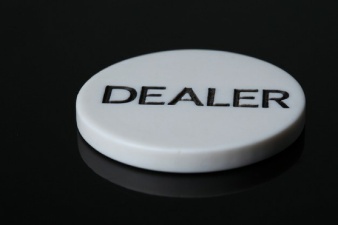 Advantage roulette players often ignore dealer change at the table. Let’s see how the dealer change can affect the accuracy of predictions for an advantage player. Let’s say the dealer spins the ball 12 rotations; an advantage player waits until the ball is at a particular speed. Recognizes it, defines how many ball rotations the ball will travel after that; how many pockets rotors will move in remaining time. The player places his chips around numbers where he expects the ball to stop. If he puts six chips to cover six pockets, to have an advantage he doesn’t need to win each time but better than every sixth time. A new dealer comes, he spins the ball mostly 20 ball rotations so how does it matter to the advantage player? From the point of the number of ball rotations, it doesn’t matter since he anyway waits until the ball slows down to a particular speed when he defines prediction. The difference in the number of ball rotations theoretical doesn’t matter. Perhaps from a thermodynamical perspective longer spin may heat the ball slightly more which could make some changes. On a shorter spins, the ball may not stabilise enough because of back spinning. If such changes matter then it would affect the result of significant differences in the number of ball rotations from spin to spin. For example, if the dealer spins 20-25 ball rotations and if the player predicts in 6th ball rotation before then the ball drops, then such effects wouldn’t matter. There is no significant difference in between spin sand because spins are long enough the ball has enough time to stabilise. The video I’ve made is about something else, often ignored, however, it is essential and relates to the dealer changes.